FK chats to the talented team behind event hire company, Dann event hire. 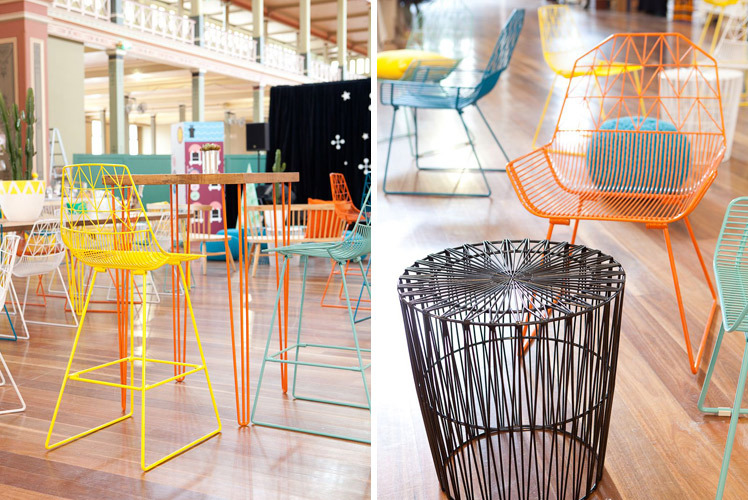 Finders Keepers is lucky to have Dann Event Hire help to create vibrant seating spaces at our Sydney & Melbourne markets. We are very grateful for their support to us in 2013! Tell us a bit about Dann Event Hire, what you do and how the company started? DEH is a family owned business ran by Nick and Francesca Gulino, based in Melbourne. We have grown into a design focused hire business, forecasting overseas trends and customising to the local market. We service the entire events industry from styled weddings through to large corporate affairs. Our aim is to make your event unique and extra special, and one that your guests will always remember. Who is in the Dann event team and what are their roles? – Nick Gulino (Owner & Director) ‘All rounder’ who has a hands on approach to the business. – Jess Smalley (Stylist) ‘The Creative’ weddings & corporate collaborator, suggesting creative styles for Finders Keepers, weddings and overall events. – Sean Puveendran (Logistics Manager) ‘The Headset‘ coordinates back of house operations, getting furniture from the warehouse to you. What has been some of your favourite projects to work on? 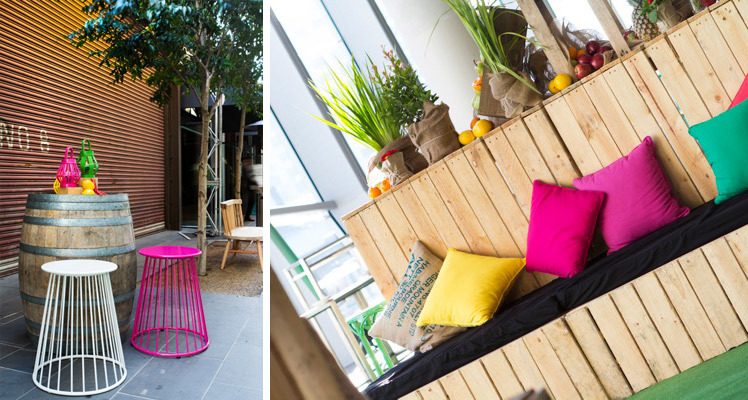 A corporate ‘Pop Up Party’ which involved a two day bump at two locations which had a fun, rustic feel. 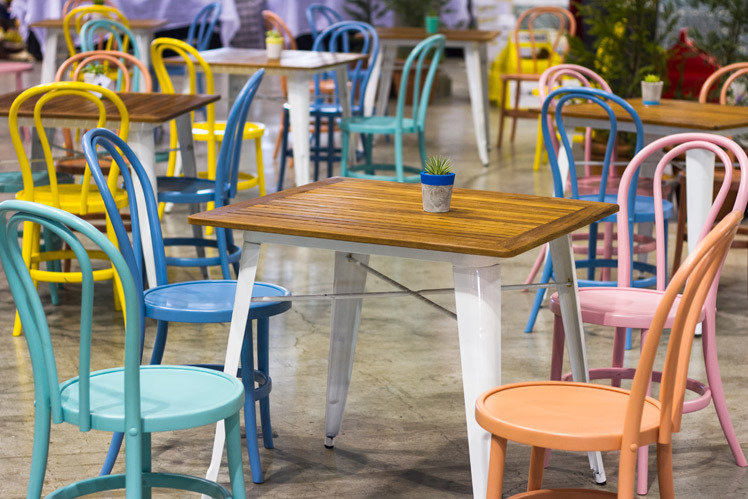 Bringing the outdoors in, we transformed one space into an indoor picnic area for 3,500 people full of colour, pallet furniture, trees and florals, fresh fruit & vege! The other favourite project has been transforming one of Melbourne’s bustling restaurant scenes into a vibrant and cultural food festival. Turning the laneway into a street party vibe with colourful food stations, decorations and a 120m long grass runner leading guests towards the themed venues and entertainment to follow. 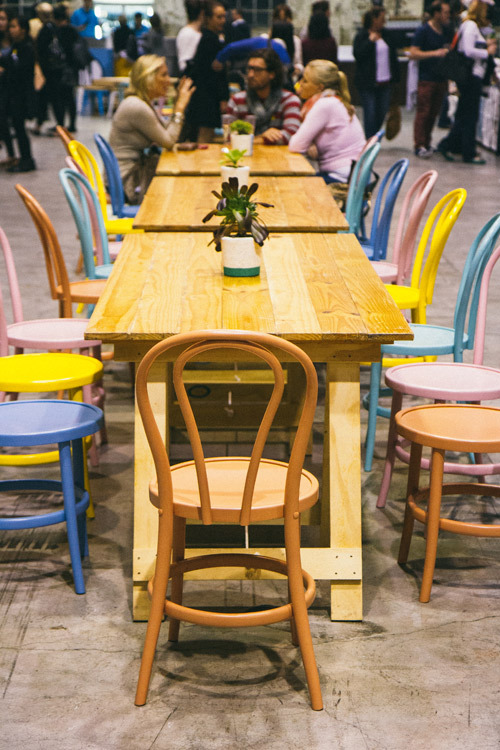 Other great events we have loved being a part of are the Australian Open, Melbourne Food & Wine Festival, many weddings and of course The Finders Keepers Market in Melbourne & Sydney! What advice would you give to stallholders on how to put together an effective and eye catching display? Keep it simple! Don’t overdo it with too much going on, you want your product to be the point of focus. 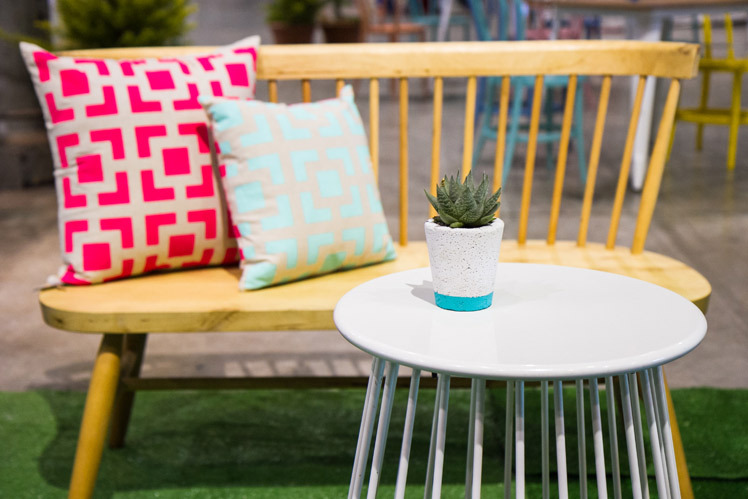 Choose a colour palette/ style which works well with your products/wares and run with it! Think outside the box and use things to display in a different way – you don’t need to spend a lot, recycle/upcycle and DIY! 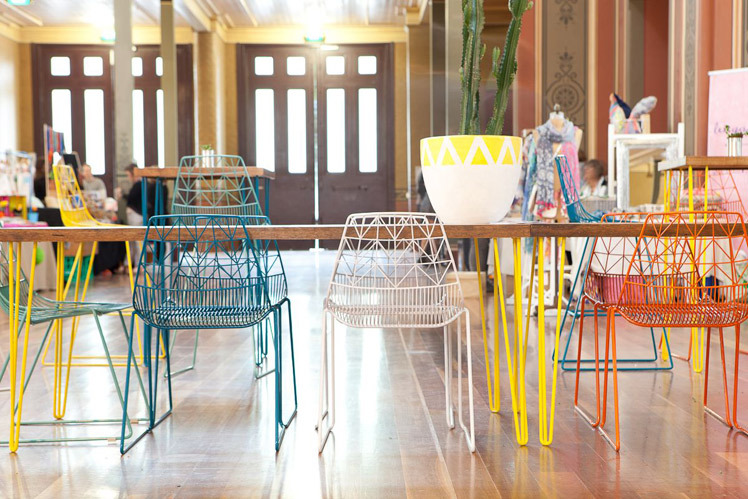 What do you love about working with the Finders Keepers on their event furniture and decor? 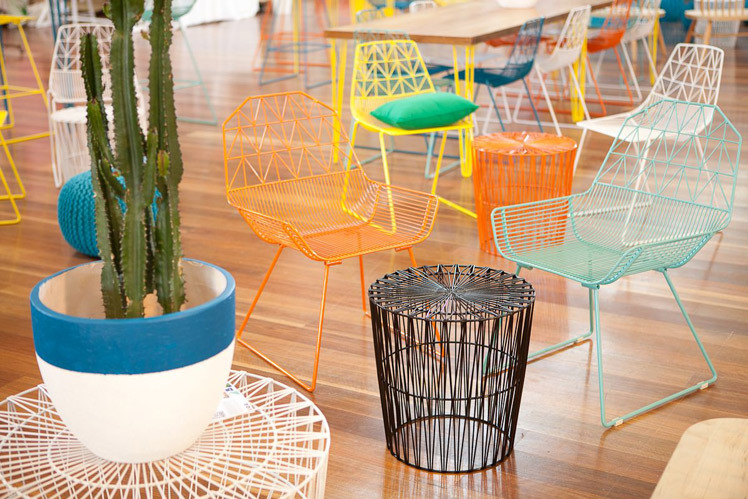 The opportunity of creating fun and often colourful seating / lounge areas! To create something cool for the public to enjoy! It gives the opportunity for the general public to experience the styling/events world we love and enjoy! As well as working with the great team at Finders Keepers and collaborating with the design visions! Hi, the furniture are just awesome. Really liked the decorations. The colors are also vibrant & very well suits to the environment.